What is journaling? Some of the online resources define journaling as an act of writing the stuff down anywhere. “Anywhere” literally means that one can write the things down using anything he finds appropriate. It really doesn’t matter what and where! That is one of the reasons why journaling is getting more and more popular and has a bunch of benefits. If you want to bring some improvements into your personal life or just make the things clear in some of the life areas, make sure to start journaling. 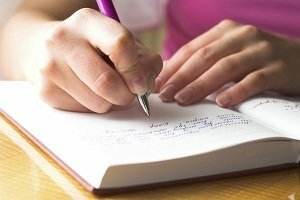 If you’re already into it and your aim is to improve your skills in writing, consider these simple must-know journaling tips! Start the process of writing from the present point of your life. What is your living situation at the moment? How is it going with your job? Are you enjoying your relationship? Are you just where you would like to be? Write down the answer for these questions. “Stream of consciousness” – make sure to start one! The point is to write down everything that is on your mind now and never get back to correct your punctuation or grammar in the process. You will have enough time to do that. Later. Converse with your inner child through subdominant hand writing. Provide the answers with your dominant hand. Done? What kind of issues are emerging? Create a daily list of all the things in your life that you are thankful for. Make sure to keep this information in a separate section or in a separate journal. This will give you an opportunity to read it through all at once. When you feel all alone and sad for some reason, open and read it to find out that happiness is just around the corner! Nature diary to get closer to the world of nature. Have you ever thought about how wonderful the world around us is? Don’t miss the chance to record the nature things you notice every day about the weather conditions, the sky, and all the seasons of the year in general! Keep the statistics of your success. Start writing with some minor achievements and then go on with the big ones. Soon you will see the list of success that is constantly growing! This will inspire you to go on! Music is a medicine for a soul. Keep a playlist of the songs that you like the most. Write about the emotions each of them evokes. When you hear the familiar tune that brings certain memories to the surface, start writing about how you feel at the moment and try to understand why. If there’s something out there that disturbs you – write about it as if you’re looking at the situation from the outside. This will provide you with an opportunity to get a new perspective at your life. Now write down what you have discovered about yourself. Remember, we all have bad days and mixed feelings. Make certain to use journaling to take the shadows away from your life.